The prolific Coen brothers make the sort of movies you either love or hate. Personally, I usually fall into the latter camp and have never been a fan of their comedies, preferring their more serious fare like Blood Simple and No Country For Old Men. Their latest, Inside Llewyn Davis, is undoubtedly the highlight of their career however. The film follows its title character, a struggling musician, in the pre-Bob Dylan world of New York’s folk scene. When he learns a fellow singer is pregnant with what may well be his child, Davis begins to reassess the life path he’s chosen for himself. Oscar Isaacs is fantastic in the title role and thankfully can carry a tune, as many of the film’s pivotal moments require him to sing a selection of folk songs, including some that will be familiar to fans of Irish music. The character of Jack Ryan has previously been portrayed on screen by Alec Baldwin, Harrison Ford and Ben Affleck, and now Star Trek’s Chris Pine becomes the latest actor to embody the hero of Tom Clancy’s novels. Directed by Kenneth Branagh, Jack Ryan: Shadow Recruit takes us back to Ryan’s origins and while it doesn’t give us a whole lot we haven’t seen in the Bourne or Mission Impossible movies, it’s an enjoyable popcorn romp with a bit of political commentary thrown in for good measure. Grudge Match has one of the most groan inducing premises you’ll have heard in quite a while, featuring Sylvester Stallone and Robert De Niro as a pair of aging boxers coaxed back into the ring to settle old scores. You might expect this to be an out and out comedy but the film takes itself far too seriously. 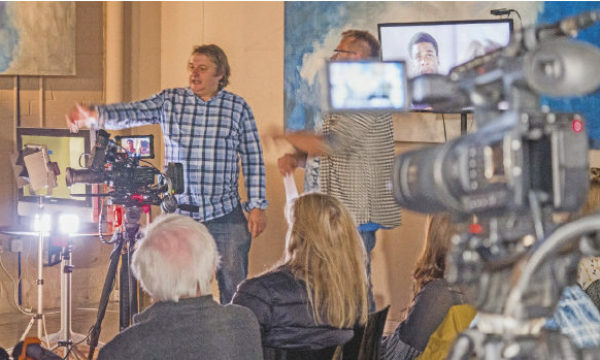 After its opening scenes you’ll be ready to throw in the towel. Meryl Streep’s annual Oscar movie this year comes in the form of August: Osage County, an adaptation of a popular American play that should have remained on stage. It’s one of the most crudely written films I’ve seen in some time yet somehow it managed to attract an all star cast. While Julia Roberts delivers the best performance of her career, Streep delivers her worst, coming off like Bono in drag with her over the top portrayal of a pill-popping widow. Inside Llewyn Davis is my movie of the week, August: Osage County is the week’s worst. Guess which one picked up the most Oscar nominations. 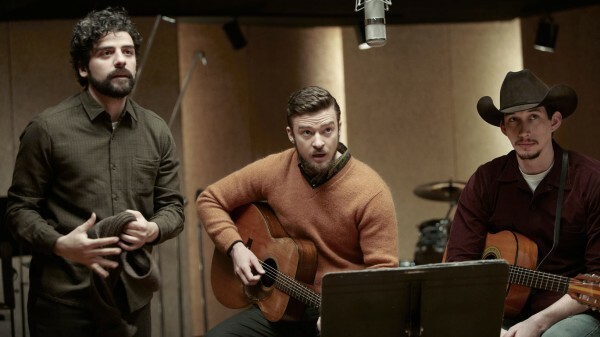 Picture caption: Oscar Isaacs, Justin Timberlake and Adam Driver in Inside llewyn Davis.